Dani Alves had a dream competitive debut as Paris St Germain beat Monaco 2-1 to win French football's Trophee des Champions curtain-raiser for the fifth successive year. The former Barcelona veteran joined PSG this summer after a one-season stop at Juventus and showed he remains a match-winner at the age of 34. PSG trailed to Djibril Sidibe's smooth finish on the half-hour mark when Alves changed the course of the contest inside the space of 12 second-half minutes. First, he stepped up after 51 minutes to crash home an unstoppable 25-yard free-kick which left Monaco goalkeeper Danijel Subasic rooted to the spot. 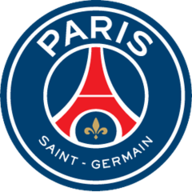 PSG had started the second period well and their superiority was further rewarded when Alves delivered an excellent cross for Adrien Rabiot to head home. Monaco pair Kylian Mbappe and Thomas Lemar, both strongly linked with moves away this summer, started for the Ligue 1 champions against the Coupe de France winners in the Moroccan city of Tangier. The pair were influential in the early exchanges with Arsenal target Lemar firing over inside 30 seconds when well placed. Lemar soon set up Mbappe, but the coveted 18-year-old was rightly ruled offside after slotting the ball past PSG goalkeeper Alphonse Areola. 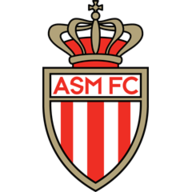 Monaco eventually went ahead when summer signing Youri Tielemans freed Sidibe and the France international kept his composure to chip the ball over the advancing Areola. But PSG hit back after the break with Alves the key as Unai Emery's side lifted the first silverware of the French season.